Red Carpet, here I come! Carol from A French American Life (One of my favorite blogs out there), nominated me for a Liebster Award. I also want to thank a few other bloggers that previously nominated me for awards: La Petite Gourmande Anglaise, Running Sunflower and Monsieur Maman. I never got around to write a post about it so I apologize about that. You should definitely go check their blogs out, they are really awesome! 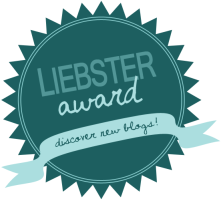 The Liebster award is a way for newish bloggers to get recognized by fellow bloggers. It is meant to help spread the word about our favorite blogs out there in the blogosphere. Pay it forward: find 11 other blogs with less than 200 followers that I enjoy reading and nominate them. One of my summer jobs was to pick up tobacco in Switzerland. Those leafs are sticky! If you could live anywhere in the world, where would it be and why? I would say Montreal. I use to live there and despite the cold, it’s still my favorite city. It has all the amenities of a big city and lots of small “homey” neighborhoods to live in. What is the best book you’ve read recently? I’m currently reading “Lean in”. I think it’s an interested perceptive on women in the work place and a great book to talk about with friends. What is the nicest thing a random stranger has ever done for you? That’s a hard one. I remember when I was about 8 years old, my family and I went to a bingo party. An older gentleman sitting next to me gave me one of his cards (pretending that he has too many). I ended up winning a TV! He said that we could share, he would take the remote and I could keep the TV. Your life will be made into a movie. Who do you want to play you? Gosh, I would have to say Julia Roberts still one of my favorite. But Sophie Marceau might be a better fit! What was your favorite childhood toy? That’s easy, a KiKi! Sweet or savory? For sure Savory. If you could go anywhere in the world right now, where would you go? Well, I want my next trip to be to Montreal. I haven’t been there in 4 years and I miss it. Plus I really want to visit my friends and introduce my husband to this awesome town. Morocco is also on my list. How many and which languages do you speak? Bilingual French/English. I know a little German, might be able to ask for direction if I’m lost, but don’t hold your breath on that one. What was your favorite subject in school? Least favorite? I would say my favorite was Physics, always liked doing little experiments. Least favorite might have been Math (last few years of high school). Not that I don’t like Math, I like the logic, but it was really difficult. If you could have any job other than your current one, what would you do? That’s the million dollar question. I asked myself that question fairly often. I don’t really have an answer but I wouldn’t mind being a CEO! Crepes with jam or nutella? What sports did you play when you were a kid? If you could live in a TV show, which one would it be? Give an example of a time when you went wild? Thanks so much! I am blushing int he desert heat over here! Thanks for your great blog. You can’t never go wrong with Cheese! Thanks for showing Dion’s some love. The next time you’re in New Mexico please let us know. We’d love to buy you lunch.